We’ve all been there. You watch a film or TV show and see a simply amazing shot. You think to yourself “that can’t be too difficult to reproduce”. You set up your camera and start shooting, but when you’re finished the result looks nothing like a “real” movie. What can you do? In this article we’ll show you some tips and tricks you can use to make your video footage look more cinematic. While none of these tricks will be the magic bullet that takes you from an unknown director to Quentin Tarantino overnight, little tricks combined can add up to make a big difference. One of the easiest things you can do before filming is thinking about your shot. If you just grab your camera and press the record button, things aren’t going to work out as well as if you plan a little first. Before you even begin shooting you can think about your shot. Do you want to shoot at a really shallow depth of field, or will you be filming in bright sunlight in the middle of the day? In that case, you’ll need an ND filter. Our guides to depth of field A Foolproof Way to Understand Depth of Field in DSLRs A Foolproof Way to Understand Depth of Field in DSLRs Depth of field is a fundamental camera topic that's difficult to learn, but this tool makes it much easier to grasp. Read More and photographic filters What Are Photographic Filters and Why Do They Matter? What Are Photographic Filters and Why Do They Matter? The deeper you get into photography, the more gear you realize you might need. Filters are one of the most important photographic accessories, especially for landscape photographers. Read More may come in handy here. Will you be using a tripod or will you be holding your camera? What about sound: do you have a microphone or are you going to be filming in a really noisy area? Film productions spend a lot of time planning everything. They don’t just start filming and hope for the best. Instead, production teams do everything possible to eliminate any uncertainty. The actors know where to stand, the camera operators know where the action will take place, and all of the other departments work together perfectly. Even if you’re just starting out, or are just filming silly stunts for YouTube, you can make your shots better by planning them beforehand. 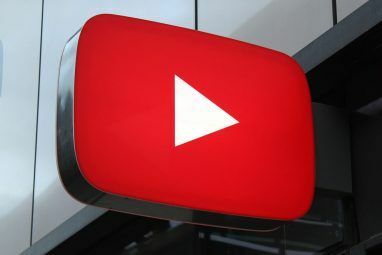 Big YouTubers such as Casey Neistat and other engaging vloggers 12 Engaging Vlogs You Need to Start Watching Today 12 Engaging Vlogs You Need to Start Watching Today If you're new to the world of vlogging and wondering where to start, or you're simply on the lookout for some new vlogs to check out, this list is for you. Read More may appear to be spontaneous, but everything they do is carefully considered and intricately planned, even if it doesn’t come across as such. The vast majority of films and movies are shot at 24 FPS. Not only does this closely resemble the “frame rate” your eyes see in, but it’s what viewers expect films to be shot in. If you’re delivering in 48, 60, or any frame rate other than 24, your film won’t look the same as “proper” films. Our eyes and brains have been trained to expect 24 FPS, by hundreds or even thousands of movies throughout the years. YouTubers or gamers may say that 60 FPS is the best, but trust me, 24 FPS is where it’s at. This may sound confusing, but perhaps you know “shutter angle” as “shutter speed”. A shutter angle of 180 degrees means that your shutter speed (SS) is double your frame rate. When shooting at 24 FPS, your SS should be 1/48. This is another area where your brain has been trained by the cinema that this looks the best. If you shoot with a faster shutter speed, there won’t be enough motion blur. Images will look far too sharp, and have a “freeze-frame” effect. This means that if you’re shooting slow-motion, you’ll need to increase your shutter speed. Adding a cinematic crop is one of the easiest things you can do in the edit suite. Suddenly, you’ll be a “real filmmaker”. Viewers will faint at how cinematic your film is, and your fifth-grade girlfriend will wonder why she ever left you. I’m joking, of course, but adding a cinematic crop does make a bigger difference than you’d think. It once again comes down to “real movies”. 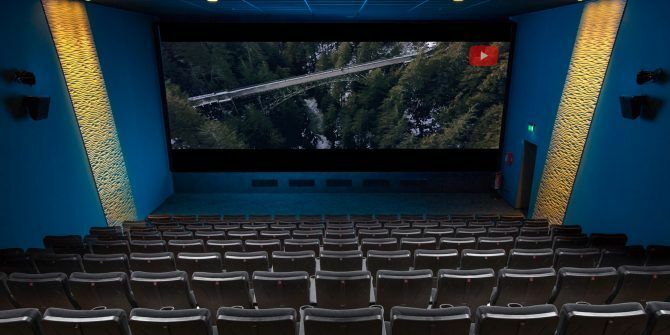 Bigscreen films are shot at an aspect ratio of 2.35:1. Your widescreen computer monitor is 16:9, maybe 16:10. Converting your film from a “standard” widescreen to the ultra-wide ratio of the big screen makes a big difference—even if you have to fake it with a crop. Music can make a massive difference to the feeling of your film. After all, music is used in films all the time to manipulate your emotions. Classical music in a sad scene, dance music in a party scene. Think about (or better yet, try it in your edit) how certain scenes would sound if they had clown music playing in the background. Using classic Disney films as an example, in The Lion King, during the scene when Mufasa dies, listen to how epic that music is. Haunting strings and quires really set it apart. How different would that be if something like the Benny Hill theme was playing? As another example, in Disney’s Bambi, when Bambi’s mother dies, the music jumps around between energetic orchestral pieces, and slower, sadder strings. How would that scene look if “Jump Around” was playing? Movement can transform your shots from static and boring to lively and exciting. Jumping around all over the place, however, will make your viewers want to throw up. Film productions spend large sums of money on all manor of dollys, tripods, jibs, cranes, and gimbals. You don’t need to spend money you haven’t got, and it doesn’t mean you can’t make a film on a budget, it simply comes back again to thinking before shooting. Slow, smooth, and deliberate movements are the key here. A nice slow pan on a tripod, or smooth movements with a budget gimbal such as the Zhiyun Crane 2. Our final tip here is to color grade and color correct your footage. Color is also capable of messing with our emotions. Ever noticed how films like The Matrix lean more towards the color green, or how old wild west films have a more yellowish brown tint to them? While color grading and correction are entire industries in their own right, you can do something about it, even if you’re not experienced in the edit suite. Getting your shots correct in-camera will make the biggest difference. If you start your scene with a really yellow shot, because your white balance was off, it’s totally possible to fix this in post production, but if you get it right while filming, it will save you a lot of time later on. In this article we’ve shown you just some of the many ways to make your films look more cinematic. From pre-planning to color grading and more, there’s plenty you can do right now to match the professionals. And if you need an extra hand making this all work, maybe some of these simple DIY filmmaking hacks 5 Simple DIY Hacks for Filmmaking on a Budget 5 Simple DIY Hacks for Filmmaking on a Budget You can get great quality video from the family DSLR or even a smartphone camera, but putting together well lit and smooth motion shots can be tough without costly accessories. Read More will come in useful. Explore more about: Filmmaking, Record Video, Video Editing, YouTube. Great article. Goes into detail on just the right topics. I recently made a video on the subject referring to what i call the CM CM rule... Composition, Movement, Colour & Music. The 4 things that make the difference.